If you have been following me for any length of time, you KNOW how much I love a great thrifted find. AND how fun it is to create something fresh for my cottage in the desert. 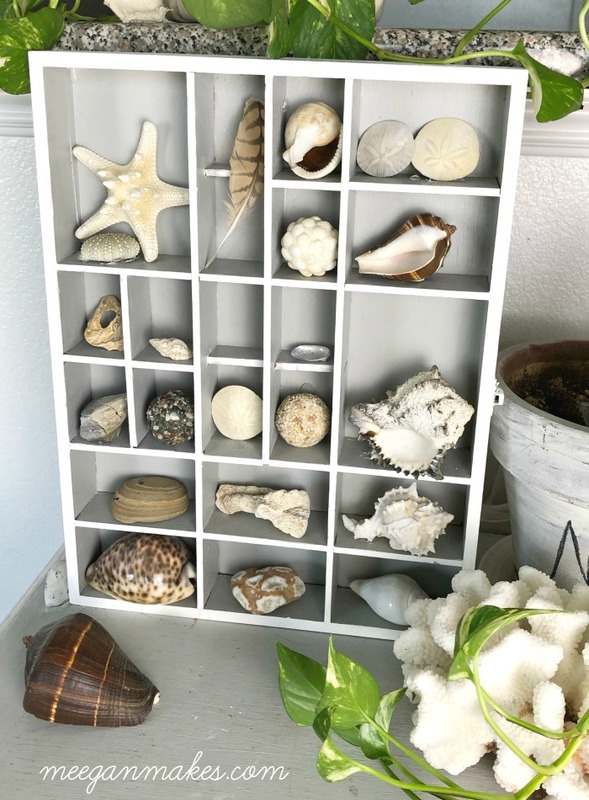 This week I have created a DIY Shell Shadow Box Made With a Thrifted Find. To me it is similar to something that you might find at Pottery Barn or even Kirkland’s. As most of you know, we live in a teeny, tiny condo. Soon we will be moving to a “new to us” apartment. It will be a little bigger than where we are now. BUT, we still won’t have a garage. That means I need to create some DIY Small Apartment Storage Ideas. 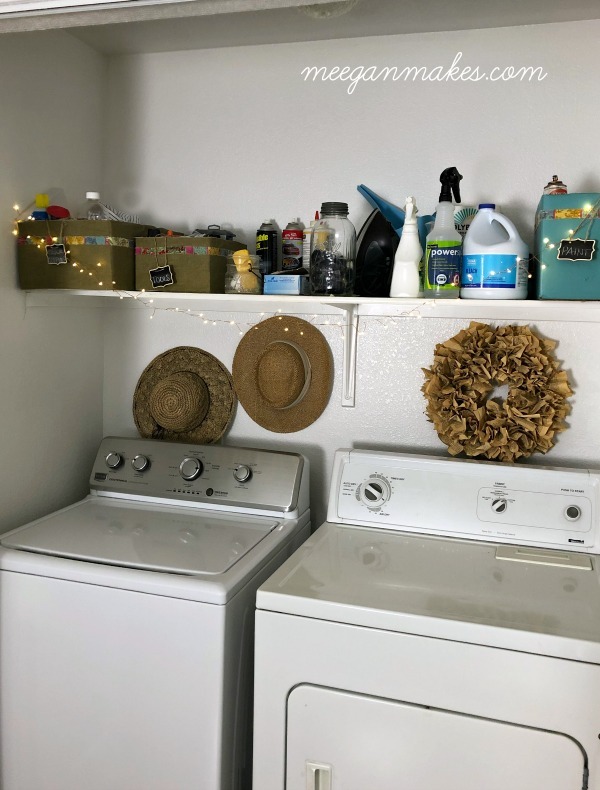 Since living in a small space for years now, with limited areas for storage, I have used my laundry “closet” for our garage supplies. 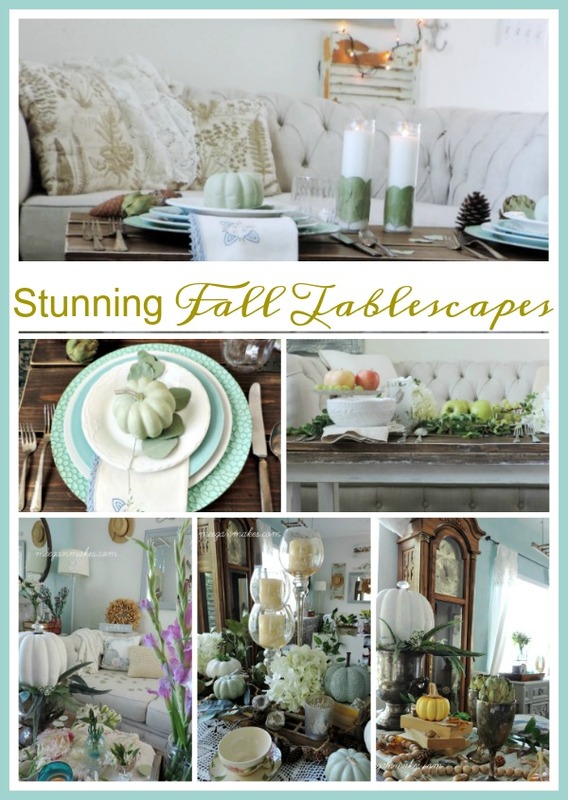 Over my years as a blogger I have created and set many Stunning Fall Tablescapes. I thought it would be fun to share all of them in one post just for you. Even though I may have used the same components, florals or plates in several, each lends it’s own personality and style. 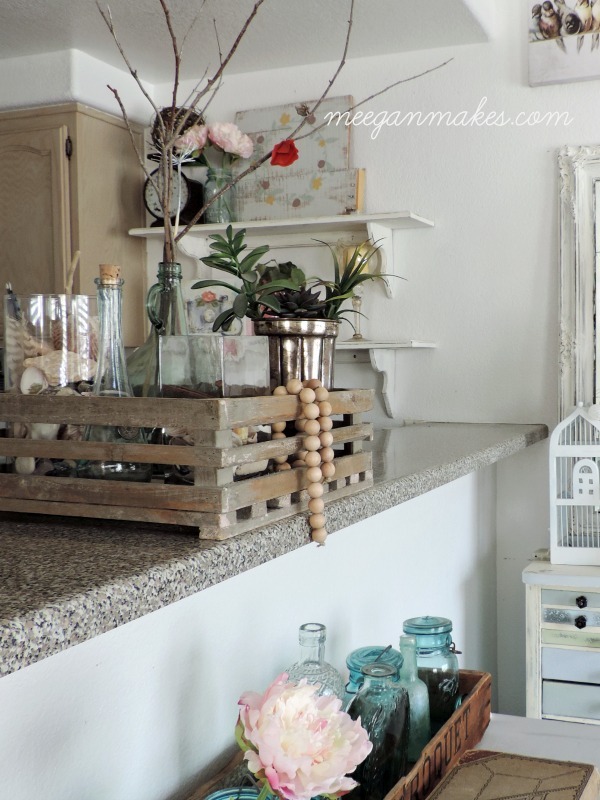 When it comes to styling the open shelves in my kitchen, I like simple pieces with a thrifted style. So for this month’s Thrifty Style Team, I thought it would be fun to share my Thrifty Style Open Shelves. The heat is high and it is time for outdoor parties, bar-b-ques and lots of entertaining. 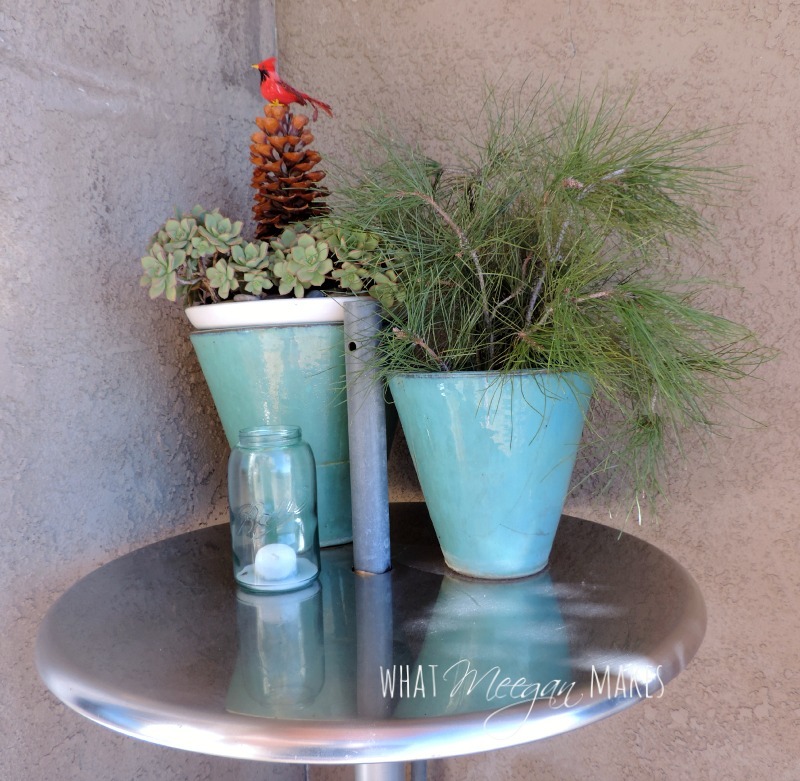 Let’s talk about Summer Porch Styling Ideas. 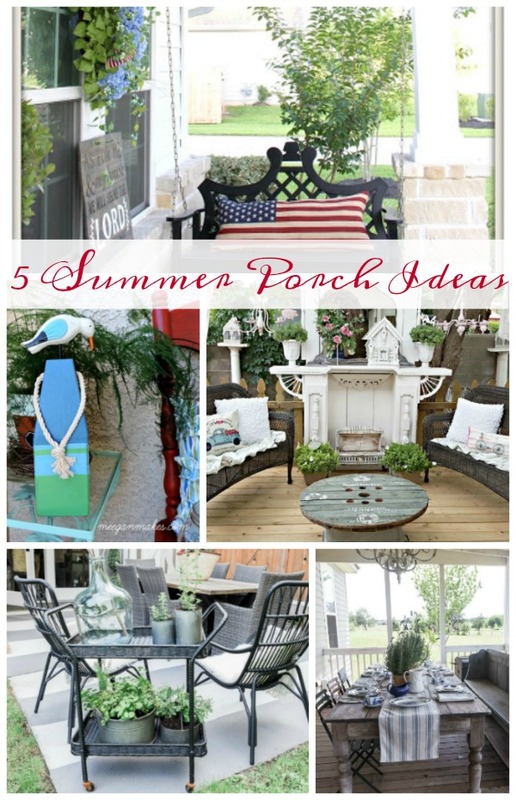 I have 5 Summer Porch Styling Ideas that will inspire you and get your creative juices going. I hope you enjoy each one. Welcome back to another Inspiration Monday Party! 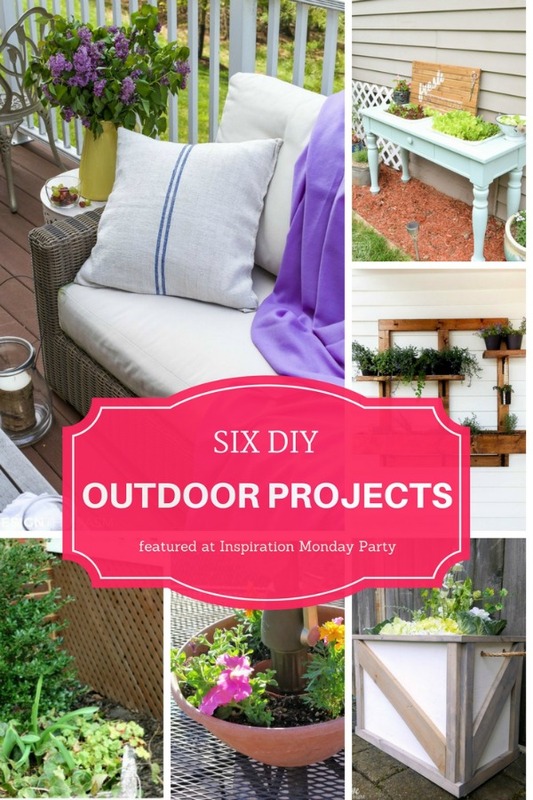 This week’s features are all about Six DIY Outdoor Projects. We are so happy that you are joining us today, with all of your unique and creative ideas! The Spring weather has Laura looking for Six DIY Outdoor Projects outdoor projects to try. Today Laura found six that are pretty amazing and sure to give you some Spring outdoor inspiration! 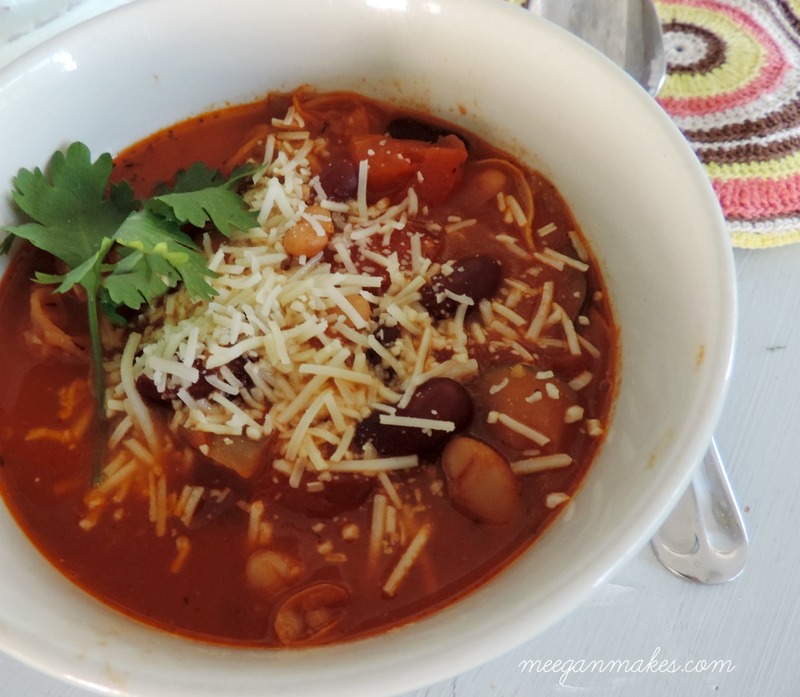 This weeks Inspiration Monday Party features were selected by Laura from Inspiration for Moms. 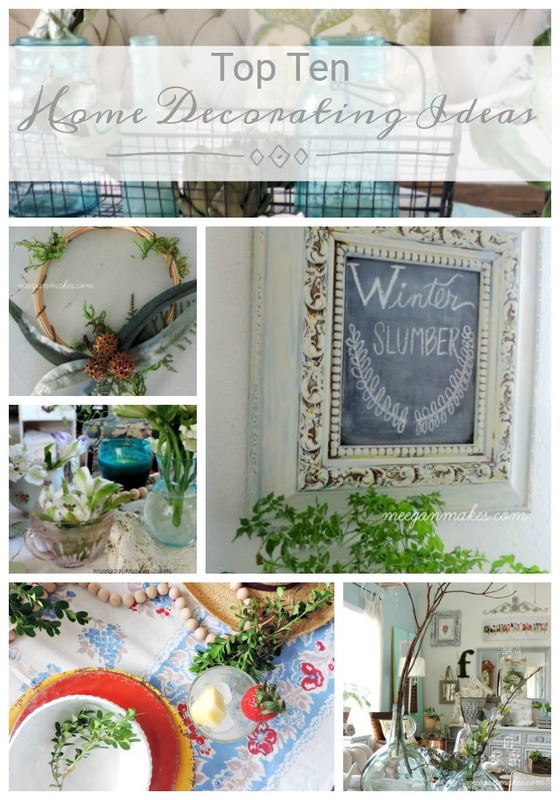 At the end of each year, I like to share my favorite or most pinned blog posts. 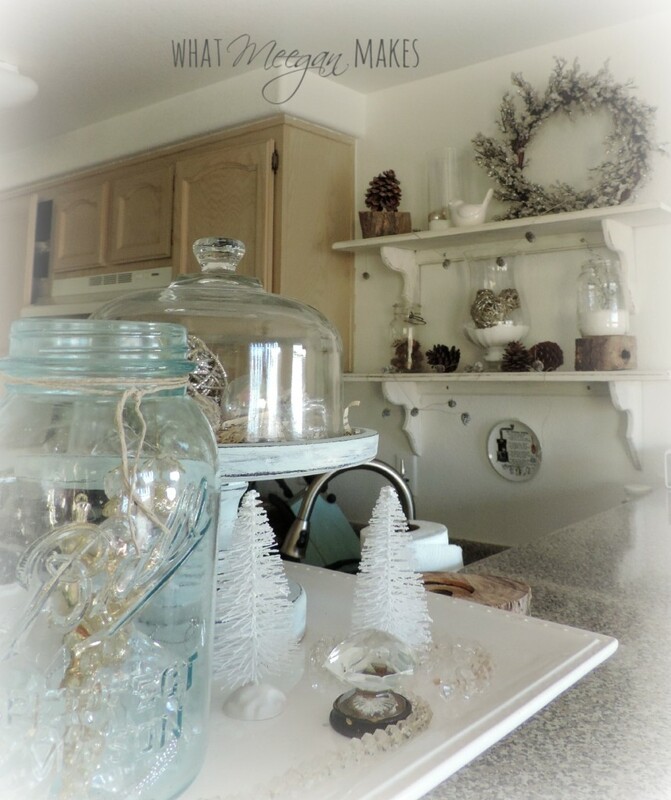 Today I am sharing my Top Ten Home Decorating Ideas (and a few recipes) from 2017. Each one is unique to my taste and style. I hope by browsing through my Top Ten Home Decorating Ideas, you will be inspired by your own creative juices to make your home inviting and a warm place to land. 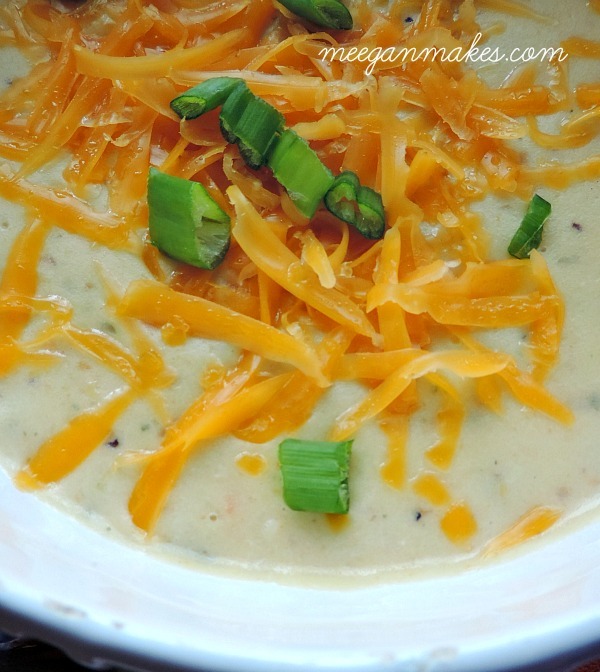 Along with my Top Ten Home Decorating Ideas, you will also find two of my favorite recipes. You know, because everyone loves a good meal, right? I have started filling our home with Christmas decorations. It is never too soon to think about styling your home for Christmas visitors, parties or entertaining. 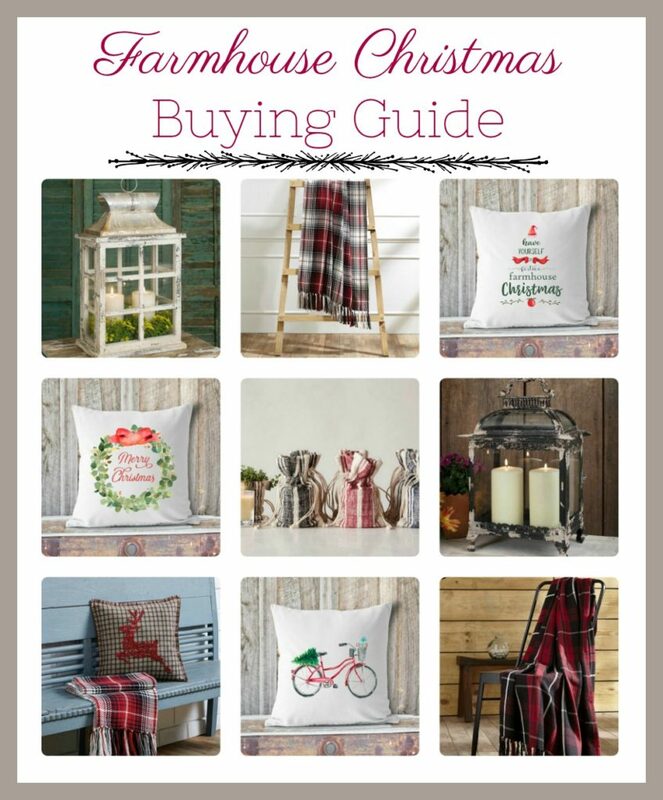 My Farmhouse Christmas Buying Guide is a great place to start. If you like vintage, cottage, antique or farmhouse style, this is just for you. It is September and even though Fall isn’t officially here for another three weeks, I thought it would fun to teach you How To Make A Neutral Fall Tablescape. 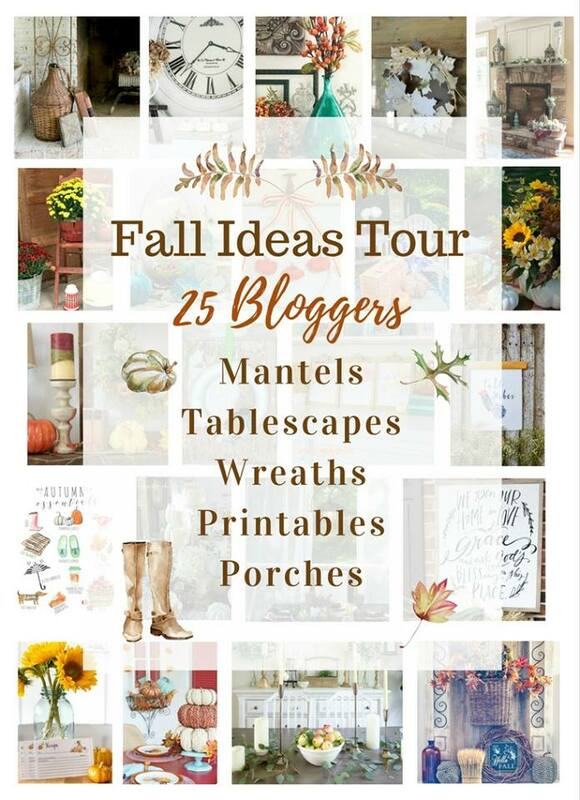 When your blogging friends invite you to be a part of a Fall Ideas Tour, how could you turn them down, right? I will share their blog links and ideas at the end of my post . You will definitely be inspired by their talents. Sometimes just after the Holidays, you aren’t quite ready to take down all of your Christmas decor. 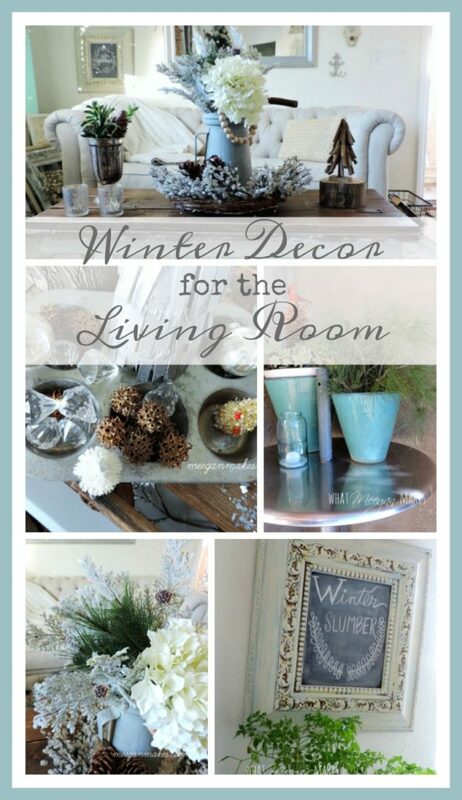 So, why don’t you create some Winter Decor For The Living Room? 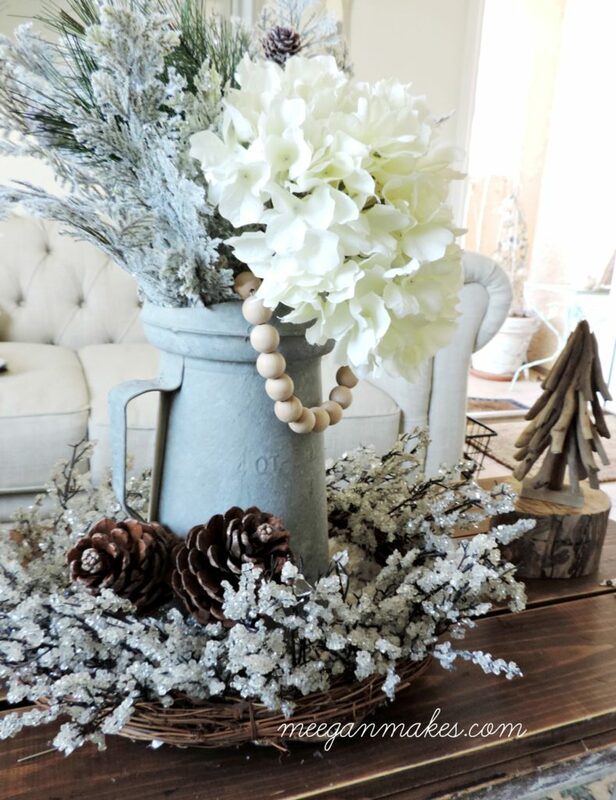 Winter Decor For The Living Room is pretty simple to create. With a little imagination, a few Christmas decorations, and your own home decor, you can have a stunning living room in no time at all. To add a Winter vignette on my coffee table. 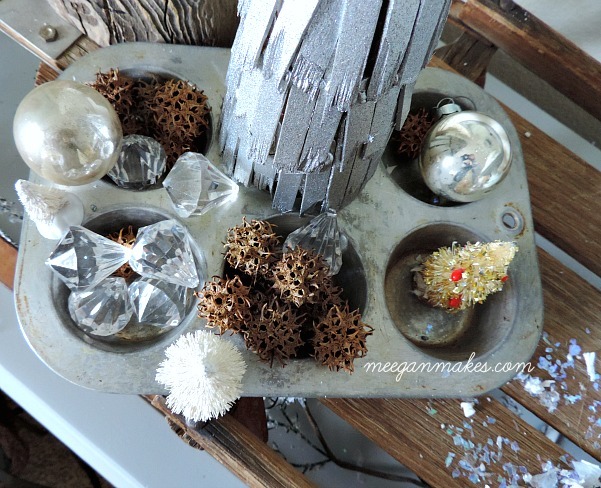 I used a Christmas crystal wreath and a vintage oil can as the centerpiece. 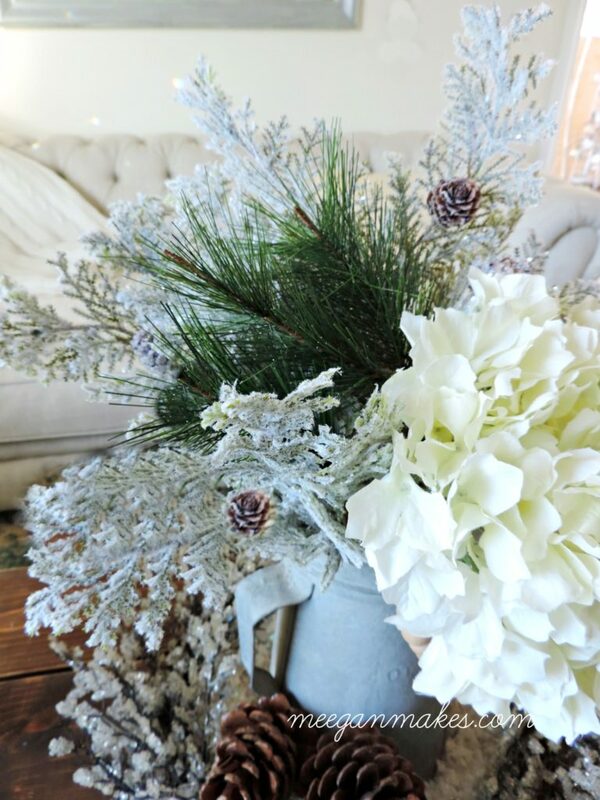 Adding a few greenery pieces, faux hydrangeas and mercury glass votives I had the Winter look I was hoping for. I like the sage greenery which adds a softer Winter look and feel. Oh my! 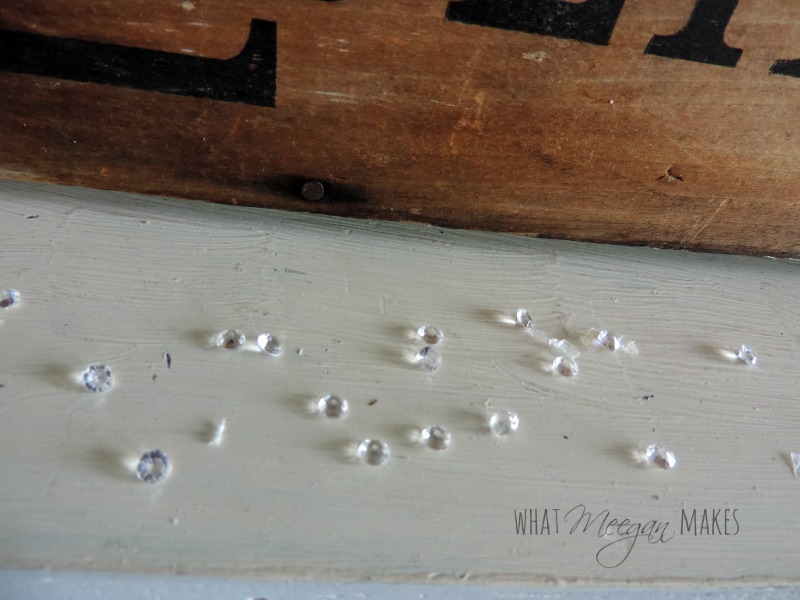 Wooden bead garlands are all the rage in farmhouse home decor right now. I happen to win one in an Instagram contest. How fun is that? I like to use my wooden bead garland in all my decorating now. 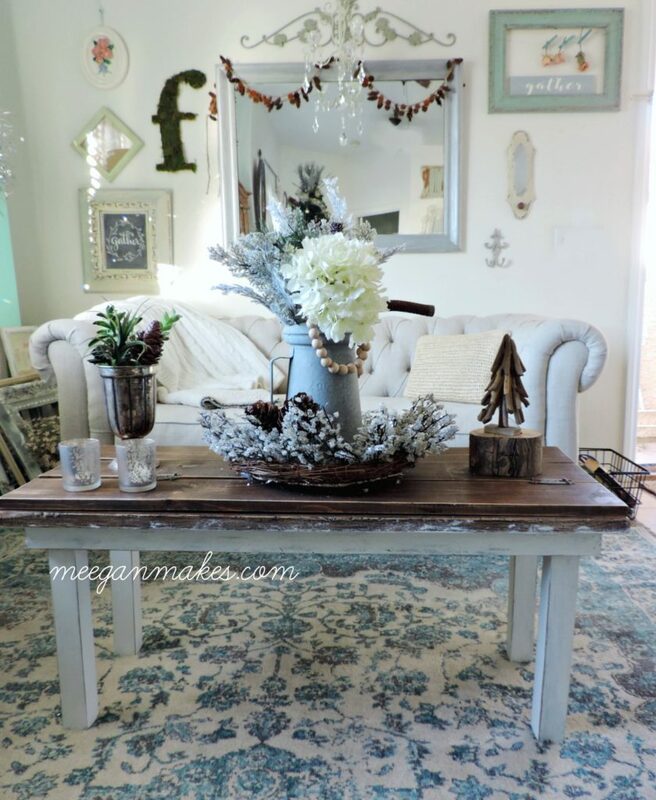 Creating a pretty vignette on my coffee table turned out so pretty, with just a few Christmas decorations and what I already have in my home. I found this 6 cup muffin tin at the thrift store. As soon as I saw it, my creative juices started flowing. There are MORE ideas right here. 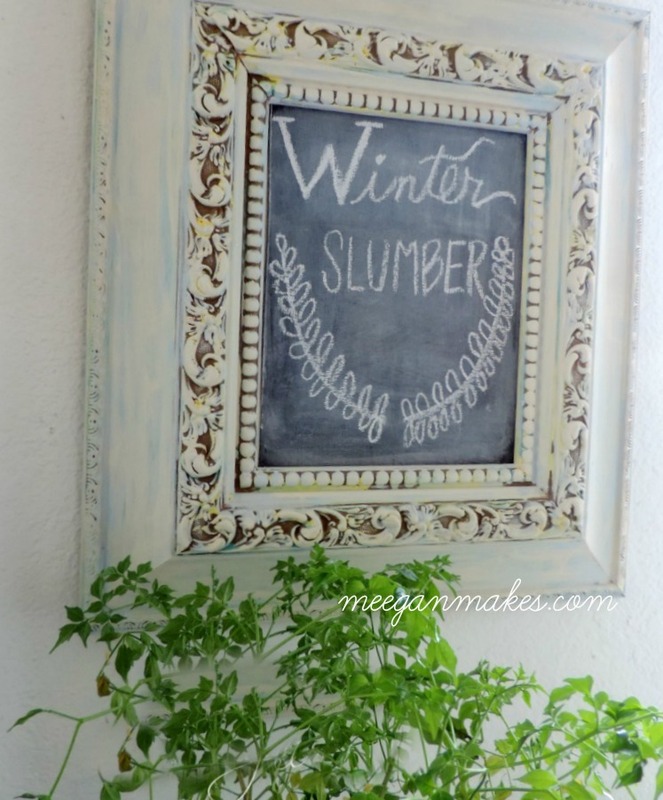 Create a Winter Slumber Chalkboard with a beautiful frame and a cereal box. I know, sounds crazy, but it works perfectly. 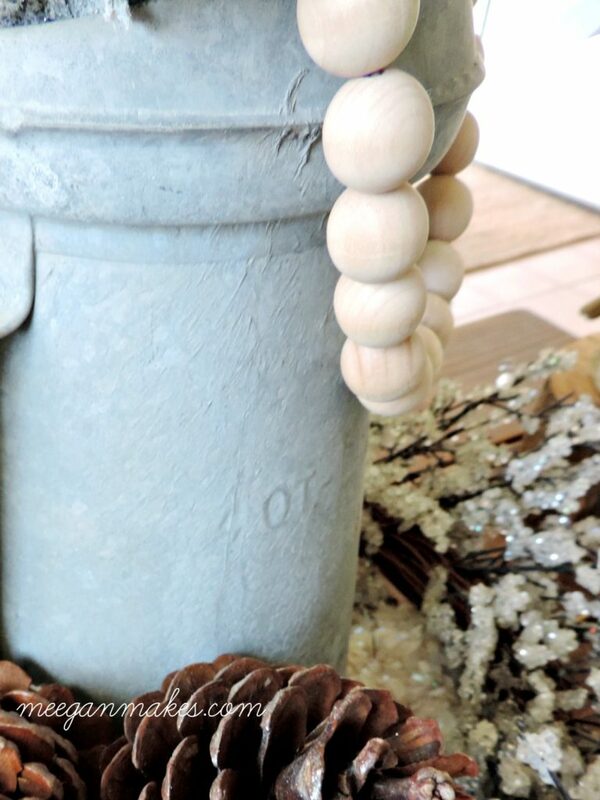 Mix in pine cones, vintage jars, and Epsom salt for a Winter vignette. You can see that I used the crystal wreath for my shelves. 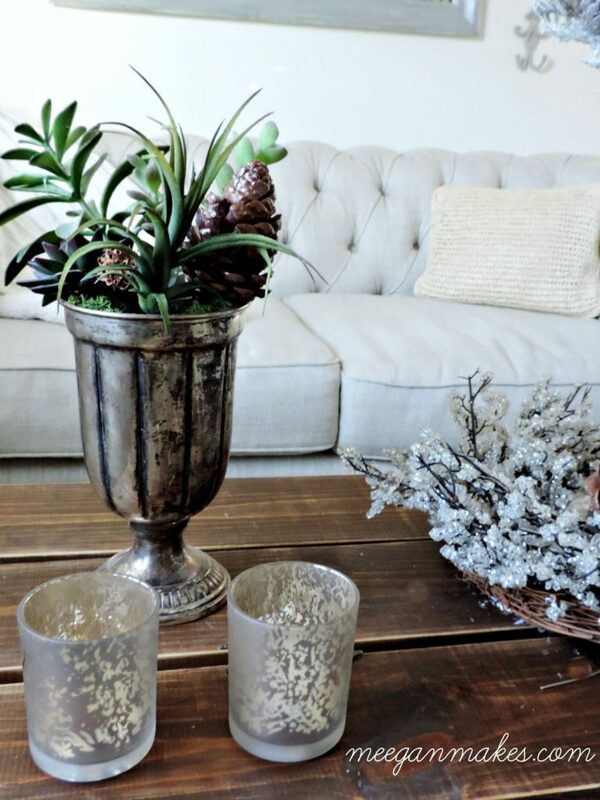 These simple ideas will help your Winter Decor For The Living Room become a welcoming area. Tiny little crystals add just a small touch of glitter and glimmer. I believe I bought these at Hobby Lobby. To welcome your Winter guests, add crisp blue pots right outside your front door. Place evergreens in them, along with succulents and pine cones. For a fun touch, add a sweet red cardinal right on top. 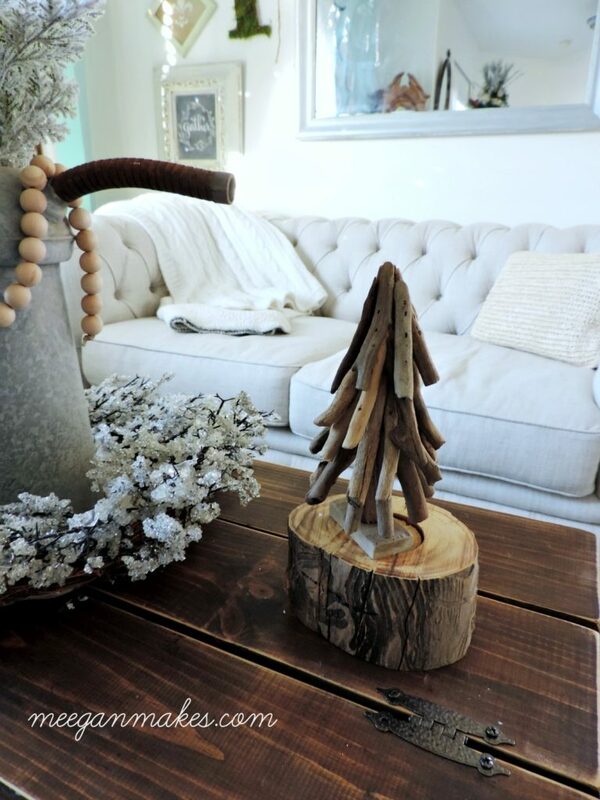 Your own Winter Decor For The Living Room will be impressive and stunning using your imagination. What do you think you will try first? Have a wonderful day and enjoy more Winter tips below.